Home » News » What Does it Mean to be a Premier Lennox Dealership? Comfort Systems is a Lennox Premier Dealer serving the homeowners of Wichita as well as South Central Kansas. To be chosen for this prestigious degree of service, we have gone above beyond the call duty. Our technicians are certified as well as educated to be a component of our team. In addition to supplying detailed A/C maintenance and repair, our solutions are cost effective. Discover more about what it takes to be a Premier Lennox Dealership in Wichita, KS. To be selected as an industry leader and as a Lennox Premium Dealer demands that we provide superior service. We are educated to supply excellent service and to surpass the level of comfort our clients expect. This entails being able to understand the needs of our clients and provide top-notch customer service. In order to be a Lennox Premier Supplier, our certified specialists get continuous training. This training extends designing, installing, servicing, and maintaining HVAC systems. We supply continuous training for our specialists as required to guarantee we preserve our award winning service. Every little thing we do below at Comfort Systems is managed by our experienced experts. On top of that, to be able to remain a Lennox Premier Supplier, we continuously provide the most up-to-date training for all of service technicians. 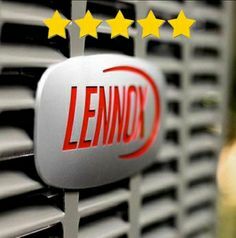 One of the requirements of being a Lennox Premier Dealer is having the capability to provide 100 percent satisfaction when it comes to any service HVAC service we provide. We provide you the best services and products to ensure you get the Lennox experience you expect. Whether you are in need of a COOLING AND HEATING system set up or a Lennox system serviced, we have you covered. As a full-service heating and air conditioning business in Wichita, we offer extensive services. We work with residential clients, in addition to commercial suppliers looking for COOLING AND HEATING installation as well as repair services. Comfort Systems maintains a nearly perfect rating for our services and products. We take pride in our work and knowing that you will be most comfortable in your home and business. We had received 5 different estimates over the course of 3 to 4 weeks for a new heat pump and air handler. Was impressed with Duane’s experience and knowledge from an installers stand point. His advice went a long way in helping us make our decision. Upon doing a comparison of the bids, Comfort Systems provided us with the best value for the SEER rating we were after. Our installers, Shaun and Steve, did a great job. They were very nice and we hardly noticed they were there. It’s only been a few weeks since the install but we noticed right off the increase in air movement though our house. We’re looking forward to the increased savings and comfort this new system will bring. Would recommend Comfort Systems. Stay warm in Kansas come winter months time, with our Lennox Premier Dealer services. We offer high-quality sector brand names in a range of locations backed by the job of our certified service technicians. Contact Convenience Systems today to find out more concerning economical HVAC services.